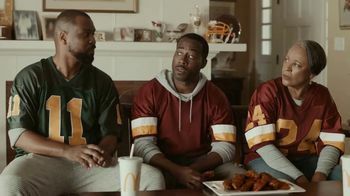 Franchise Equity Group - MMGA: Who Controls the Morality of McDonald's Commercials? Who Controls the Morality of McDonald's Commercials? Never mix grandmas with lust in ads for a family restaurant. Good use of humor and family fun. Since McDonald's Operators pay for McDonald's television advertising - do they no longer have any input on what's aired? I think the grandma one is totally gross. Every time I see it, I get a little more grossed out. Ed Rensi Eats McDonald's Everyday. What Happened to Tim Hortons?